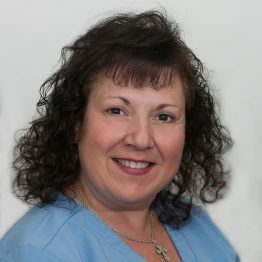 Marie has 35 years in the medical field and has worked in different specialties. She received her Registered Medical Assistant Certification from Stone School of Business in 1978 and has been with Waterbury Orthpaedic Associates since 2006. Marie is the medical assistant for Dr. Olson and Alan Houle, PA which requires her to be a muli-tasker and very efficient. She always keeps things moving.